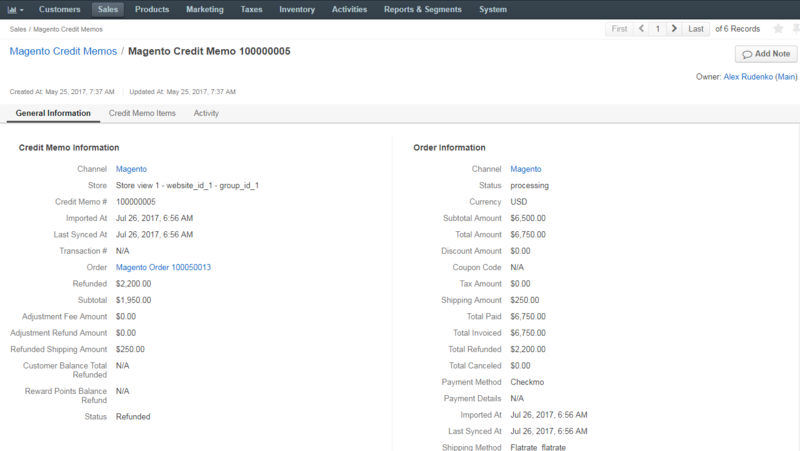 Magento Credit Memos represent a document issued to a customer by a seller that lists the amount owed to a customer. This amount can be used for future purchases, or refunded to the customer. Unlike an ordinary refund, with a credit memo, the amount of the credit is returned to the customer’s account rather than paid back in cash. For instance, credit memos can be issued when some items from the order that was paid for and invoiced, had been found defective and could not be dispatched to the customer. Please note that credit memos are generated on the Magento side and cannot be edited in your Oro application in any way.